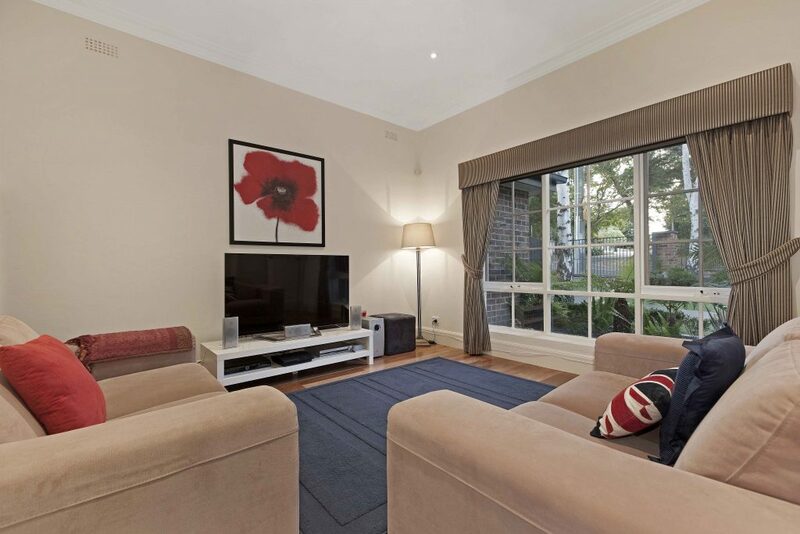 This 1930’s Kew home required the demolition of the rear living areas & the restoration/renovation of remaining areas. A site cut was required so a basement, including concrete ramp, could be constructed under the remaining ground floor. It was necessary to ensure the remaining areas of the existing house were propped safely while these basement works were being completed. A new open area was added to the ground floor, kitchen, family & meals. With 3100mm high square set ceilings, new timber floors, large bi-fold doors and built in cabinetry this area is both modern and inviting. The whole area opens onto a tiered deck, with electric vergola, which overlooks the rear landscaped garden & pool. The existing ground floor laundry, bathroom, bedroom & pool house were extensively renovated with new windows, cabinetry, tiling & plumbing fixtures & fittings. The existing 1st floor was extensively remodeled to include a terrace to the master bedroom, new bathrooms, WIR & study. External works included landscaping to front garden with new front fence (brick & wrought iron with electric gate to drive), timber arbor to entry gate, paving & works to existing porch. 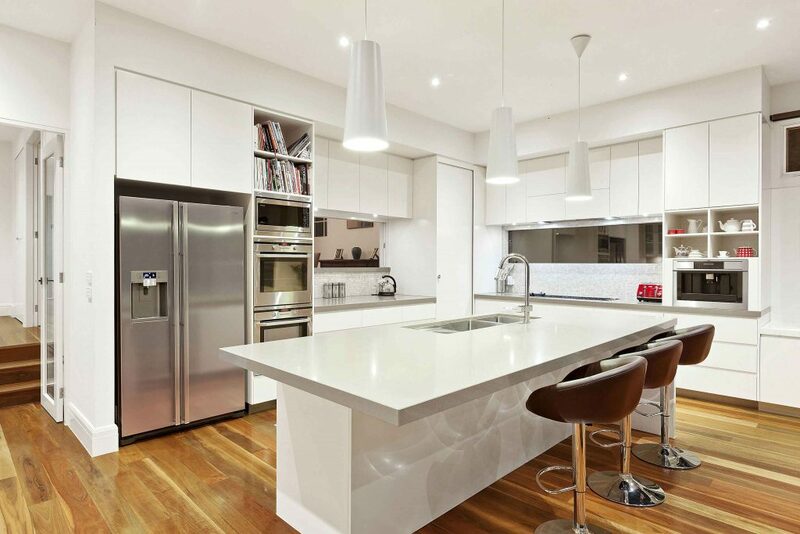 Do you need a Builder to renovate your home in Kew? 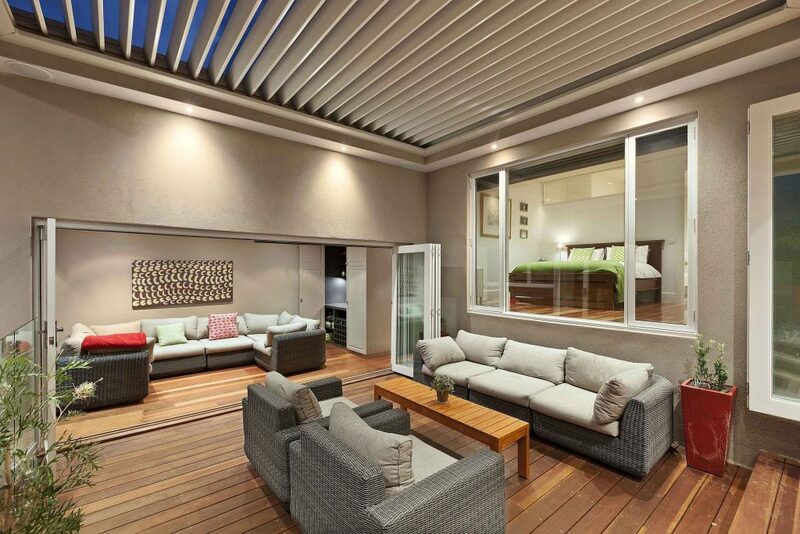 Are you looking to build a new home in Kew? Damer Builders are an established builder in Kew, view the more of our portfolio or contact us for a chat about your new build or renovation.